<a) Opponent grob; your right wriif w.th his right hend. lb) Using elbow strength C'xl Spied, pull >Our right orm inword and downward Ycur lelt hand ready lor the next move. 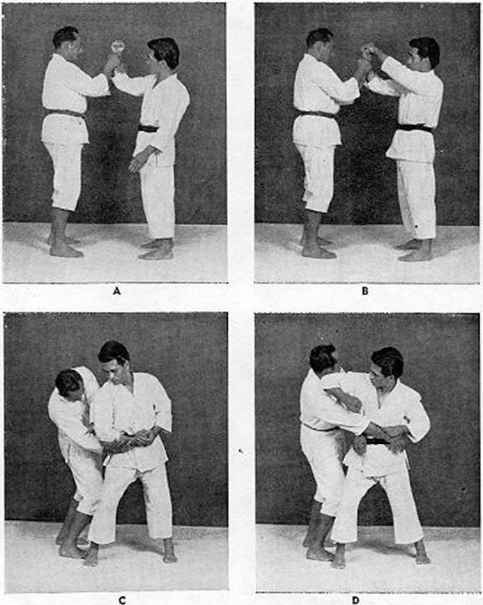 (dl Twist his right hood upward oi*1 backward by placing both thumbs on the bock of his Isnnd Kick opponent's right leg nerve center with the boll of your right foot. 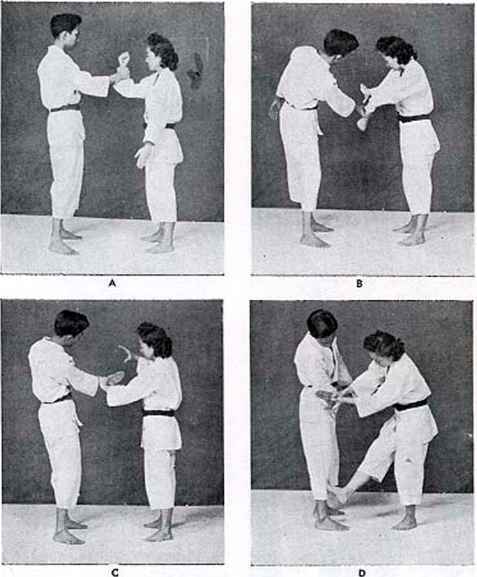 Note—If your opponent is powerful, kick his crotch or any leg nerve center. Oo not use cny hand tricks. Reason is thot kicking is foster orvd more effective than hord tricks.